Can you believe that this year is the 30th Anniversary of the “Mean” Joe Greene commercial? Last week, we posted the first of a two-part interview with Joe Greene about the making of his famous commercial. 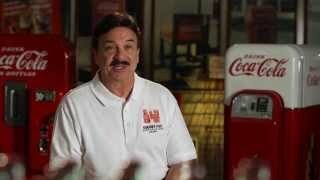 Here is part two of the video where Joe tells us about when he first saw the commercial, and you’ll get a kick out of hearing about the other athletes who were considered for the role in the classic commercial!